Kumbuka means “remember” in Swahili. 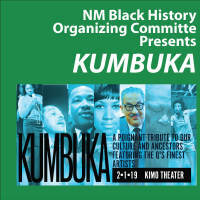 This event kicks off the 8th Annual NM Black History Festival in song, spoken word and dance. Albuquerque’s finest performers will participate in a remembrance ceremony to honor our ancestors, the famous individuals who have shaped our history and defined our future. 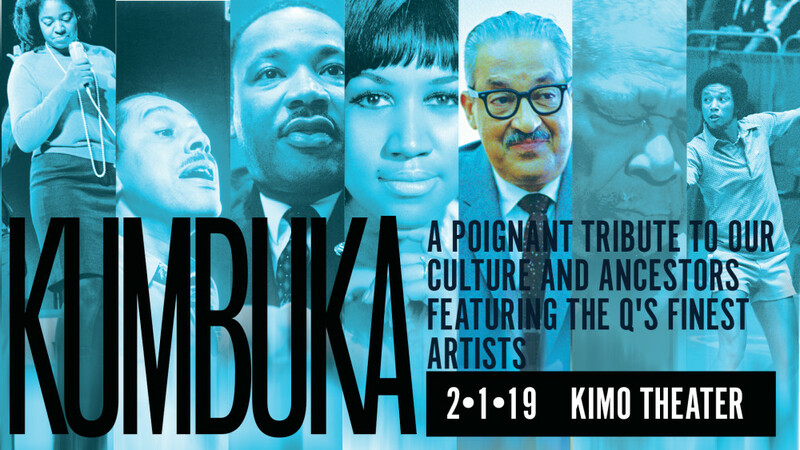 Expect tributes to Aretha Franklin, Paul Robeson, Ntozake Shange, Miriam Makeba, Al Jarreau and many more. 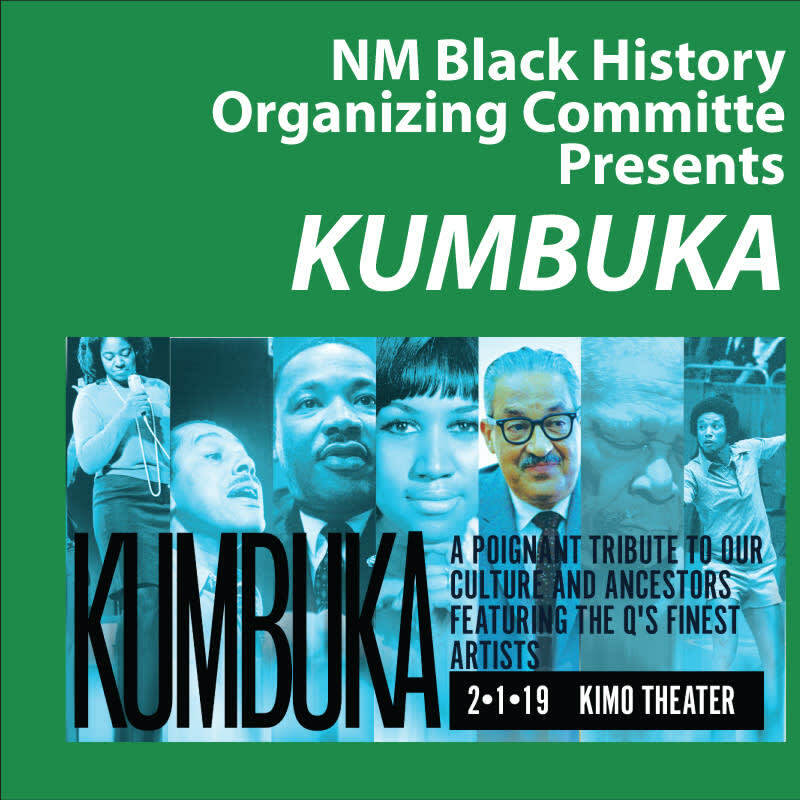 Audience members are encouraged to bring a photo of a lost loved one to participate in the interactive traditional libation ceremony that will culminate the performance.